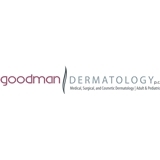 Goodman Dermatology, P.C. (Marietta) - Book Appointment Online! Goodman Dermatology, P.C. is dedicated to the dermatological needs of both adult and pediatric patients. We have 4 offices for your convenience in Roswell, Woodstock, Marietta (East Cobb) and Dawsonville. We offer only the finest in general, surgical and cosmetic treatments, customized to meet your specific needs and medical conditions. All patients will be evaluated, treated, or under the supervision by Dr. Marcus Goodman, a Board-Certified Dermatologist. We are confident that you will enjoy our friendly, open atmosphere, where we welcome your dermatological questions.